As Australia’s energy market progressively transitions from ageing thermal generation to increasing amounts of wind and solar, there are ample chances to explore and develop the energy storage solutions needed to mitigate the challenges that may come with the introduction of more renewables into the energy market. With increased intermittent renewables, we will require more storage to smooth out the variability of weather-dependent generation so that energy is available on demand. As well, we will need storage that provides the inertia, voltage and frequency control required for a stable, reliable grid. The key to successfully embracing these energy storage opportunities will lie in identifying the right mix of technology, capacity and site; however, pinpointing potentially viable projects is complex. A theoretical or academic approach won’t be enough to ensure a future project’s success in the real world. Pumped hydro is a highly efficient, longer-duration solution with a proven track record, and its future is bright as Australia seeks cost-effective, reliable options to make intermittent renewables ‘dispatchable’. 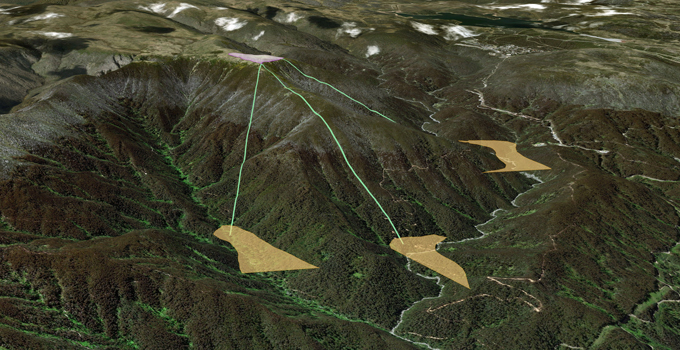 There are thousands of potential pumped hydro sites across Australia. This means that developers and investors need smart methods of filtering to reduce the many possibilities to just a few ideal sites. A pumped hydro project is a major capital investment. Getting site selection right is the foundation for success, as it will determine the likelihood of achieving a design that is both technically and commercially feasible with the right mix of capacity and costs. 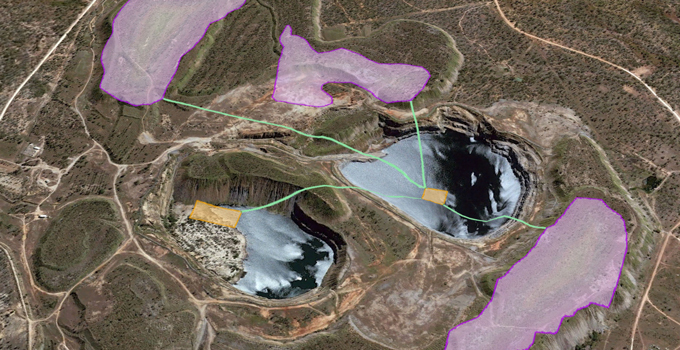 Entura has produced a practical atlas of pumped hydro energy storage opportunities to support development of dispatchable renewable energy generation across Australia’s National Electricity Market (NEM). Through an exhaustive process, the atlas filtered many thousands of potential sites down to the best 20 around Australia. It is already being used by leading renewable energy company Hydro Tasmania to shortlist potential pumped hydro sites for the ‘Battery of the Nation’ initiative (a major Tasmanian initiative looking at how Tasmania could deliver more clean, reliable and cost competitive energy to Australia’s NEM). Identification of promising pumped hydro sites through the atlas also offers opportunities for developers in states such as South Australia and Queensland, which have set ambitious renewables targets and must maintain energy security. Entura’s Pumped Hydro Atlas of Australia takes into account far more than the basics of identifying ideal topography and a source of water. It also accounts for other practical factors that can make or break a project: such as proximity to and location within the transmission network, land-use constraints and environmental risks, and the practicalities and costs of construction and ongoing operation. This makes it a real-world, relevant resource identifying the best sites for pumped storage projects across the NEM. Originally commissioned by Hydro Tasmania, the Pumped Hydro Atlas of Australia was completed in October 2017. The journey began with a literature review, appraising previous studies. This informed the development of a set of rules, assumptions and algorithms for a GIS-based study of different reservoir types and pairing mechanisms, which were tested on pilot sites. Using these algorithms, more than 200 000 pairing reservoirs were identified across the NEM states (Queensland, New South Wales, Victoria, Tasmania, South Australia and the Australian Capital Territory). State-based heat maps of potential sites for pumped hydro development were prepared, along with a summary of all key characteristics for each pairing reservoir set, such as installed capacity, energy storage, distance from the nearest substation, gross head, approximate headloss in the waterways, and active reservoir volume. A subsequent stage of refinement prioritised high-potential sites in some states. This process took into account greater practical detail, such as costings, practical engineering aspects, environmental approvals and risks, realistic high-level arrangements, proximity to other generators, and characteristics of hydrology and energy storage. 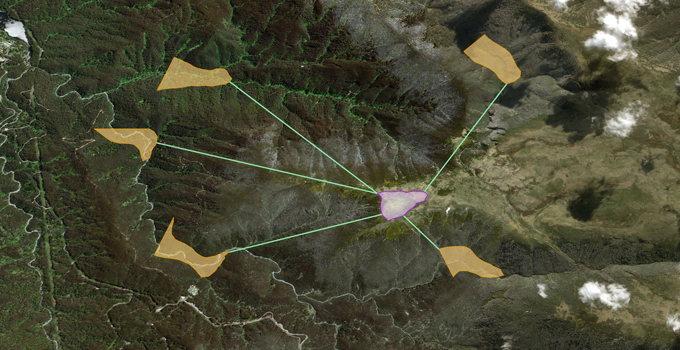 This stage identified more than 5000 unique potential sites, which were then further refined with a set of rules to select the best pairing reservoir at each site. The approximately 5000 sites were reduced to approximately 500 of the most attractive options: those with an average head of more than 300 m with relatively short distances between the reservoirs. This exhaustive refining process ultimately resulted in a shortlist of twenty promising sites across different states, with a desktop review of geology, high-level engineering arrangements, and approvals requirements. For each site a map was prepared including locality, land use, planning zones, and key characteristics of the potential pumped hydro project. The Pumped Hydro Atlas of Australia is an example of how applied hydropower engineering can be used to create practical outputs, which are ready to be applied in the real world. Overlaying the outputs of this atlas with any new wind and solar development across the NEM could result in opportunities to invest in dispatchable renewable energy generation hubs capable of replacing thermal generation assets as they retire. Pumped hydro energy storage will no doubt play a major role in the development and expansion of networks powered by renewable energy – in Australia and around the world. As Australia’s electricity mix evolves, so will the economics of storage. While forecasting revenue for storage projects in the Australian electricity market is still somewhat uncertain, there are many opportunities in both the existing and emerging markets to guarantee project revenues to a level sufficient to satisfy a lender’s requirements. The opportunity for investors seeking a head start in this emerging market is now. If you would like to discuss how Entura can help you with your pumped hydro or renewable energy project, please contact Mohsen Moeini on +61 421 461 545 or Alan Barrett on +61 437 102 756. Mohsen Moeini is a Specialist Dams and Hydropower Engineer at Entura. He has 18 years of experience in dam and hydropower engineering, and has worked throughout the Asia-Pacific region. Mohsen was the Project Manager of the Kidston Pumped Storage Project Technical Feasibility Study. He also led the development of the Pumped Storage Atlas of Australia, which identified project opportunities across the NEM.